Thursday and Friday were holidays in Peru, while we here in the United States had to go to work. 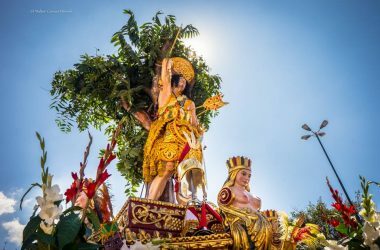 There is no Easter holiday in the giant to the north while in Peru, having a holiday these days just makes common sense. Catholicism is deeply entangled with the nation and its government, although there are movements afoot to challenge the relationship. Much of the argument focuses on the Concordat, the treaty between the Vatican, as a state, and the government of Peru signed in 1980. 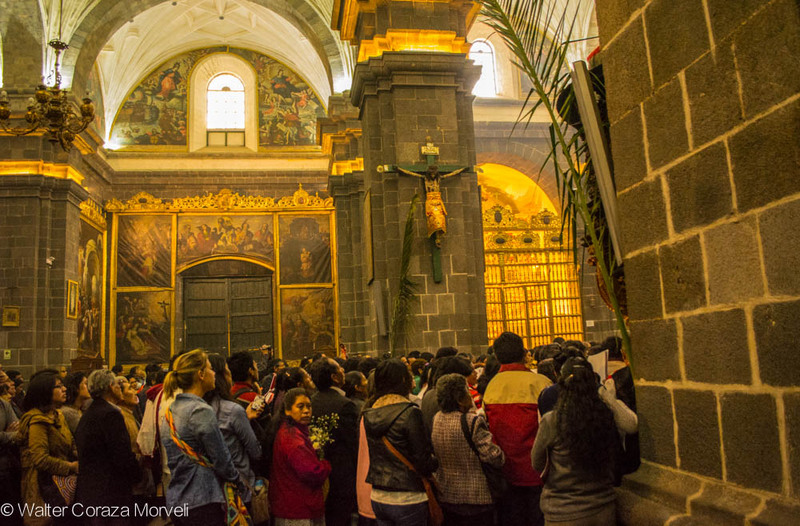 This document guarantees financial support for the Church from the Peruvian state, but the relationship goes much deeper, as we see in the national holiday granted for a religious celebration. Another example: when the Lord of Temblors gave his blessing before entering the Cathedral again, sirens belonging to the fire service were triggered to add to the power and sacrality of the moment. Easter Sunday Mass in Cuzco. 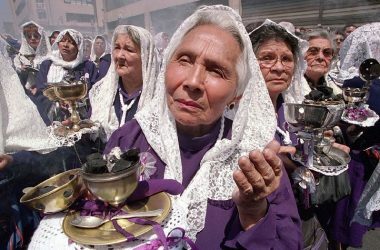 Catholic symbols, rituals, and even many beliefs stand strongly in Peruvian society, although the Church and its operations as institutions are not seen. Indeed, Catholicism, though strong, is porous. In part, this is because it stands on blends with Inca and pre-Inca ways that still are present, even if embedded within Catholic practice. 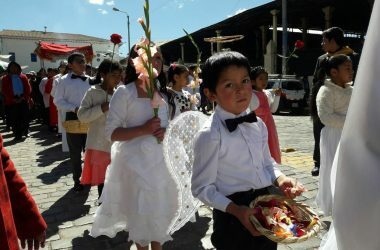 Today, many Cusqueños look to separate the two and return value to the indigenous, even though the Catholic is common sense and part of the holidays and every day life of Cusco. 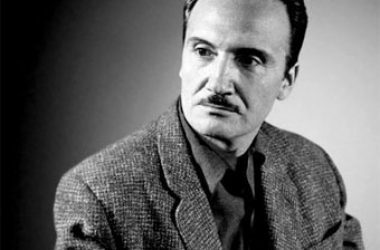 Furthermore, disbelief and non-adherence are part of life in the city, as is participation in non-Catholic faiths. The 2007 Census tells us that 11% of the population of the department of Cusco are Evangelical, some 94,221 persons. 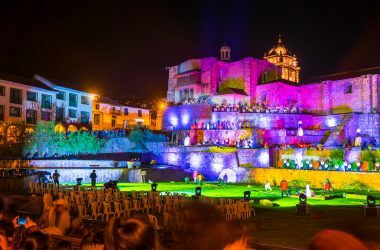 Though we do not have numbers for other faiths, aherents of indigenous practice, or the infamous non-participants and disbelievers, we can say that Cusco’s religious space is varied and complex. Even if we just look within Catholicism is is so. Celebration of Easter may be as little as eating an empanada or some pudding, if anything. Or it might involve multiple visits to local churches, such as the pilgrimage to the seven churches the Archdiocese is pushing. Catholicism dominates, just not always in the ways the Archibishop or the Cardinal might wish.